Hey guys! So I hope you are all well. 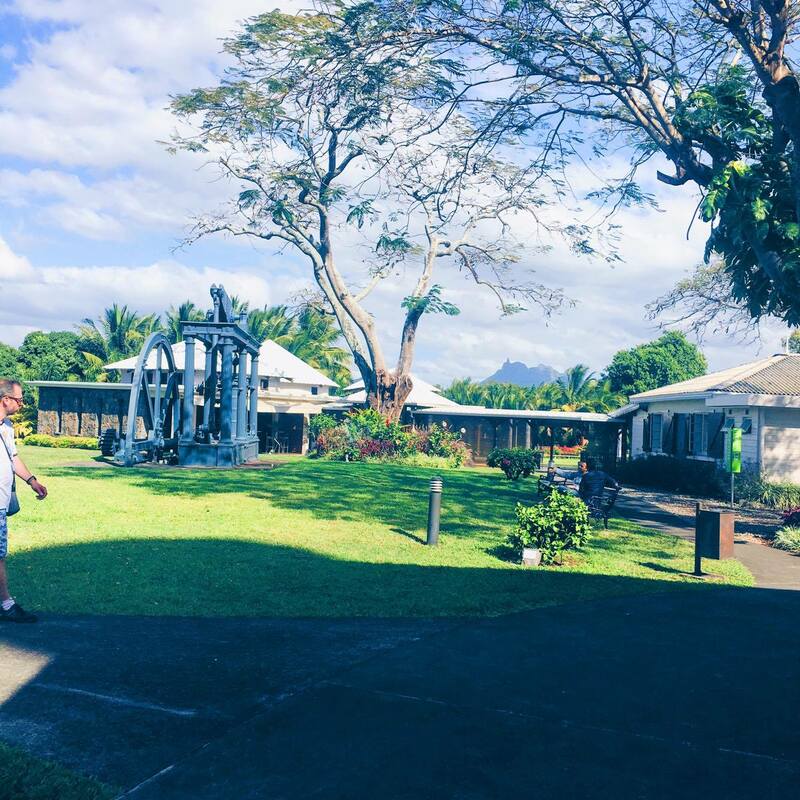 Today I thought I would do a post all about my recent trips to Mauritius. If you didn't already know half my family live in Mauritius thanks to my Mum who is in Mauritius and I decided to head there for the first time since I was 9 years old back in January. However last week was my cousin's cousin's wedding and my brother and I were both invited to go. So I booked the time off work, packed my suitcase, bought my wedding outfits and jetted off to Mauritius. I won't talk about the wedding because it's quite personal and I haven't asked my family if they'd be happy with photos on here however I will include photos of what I wore to the wedding so you can see the style of clothes required. I will be talking about some of my absolute favorite places I've visited both in January and June as well. I won't talk about every place I've visited as we'll be here till next Christmas. However this post will still be quite long as I've a lot of photos to show you so grab a cuppa and join me in travelling around one of the most beautiful islands in the world. 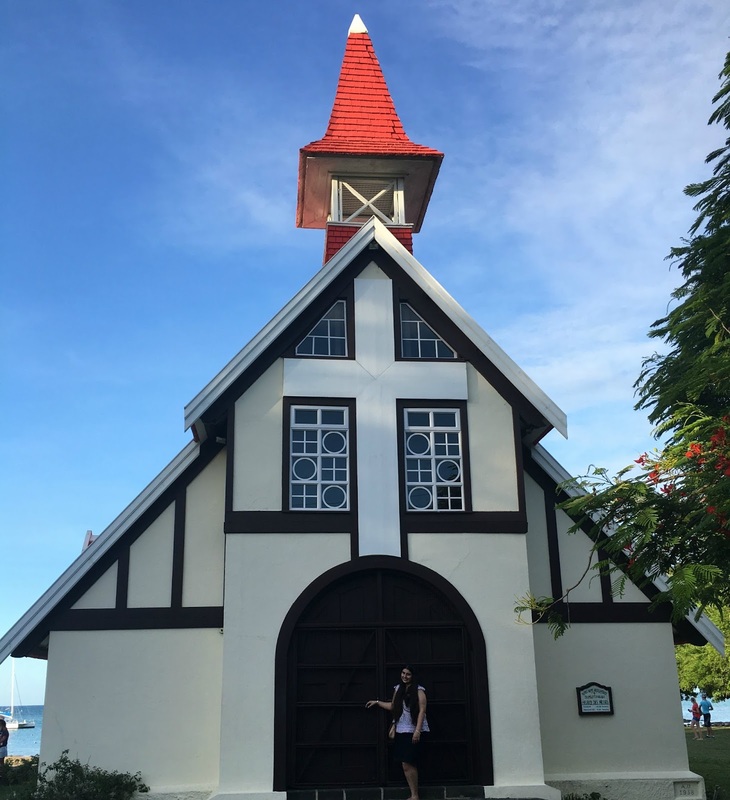 One of the first places I visited was the beautiful coastal area of Gris Gris located near Surinam in the South of Mauritius. An area surrounded by white sand, beautiful blue waters, and lots of rock. It's absolutely stunning however it does have signs up saying dangerous bathing. This is what it looks like at Sunset. How beautiful?! How beautiful are the leaves on this tree? This is in a place called Coin De Mire and it's so picturesque and beautiful. This is located on the north coast of Mauritius. Whilst here on the side we saw fisherman bringing in fresh fish from the sea and me and my family bought some to take home. I'm not the biggest sea food fan in the world but I will admit that there's nothing better than cooking fresh fish! This is probably the prettiest church I have ever seen in my life. 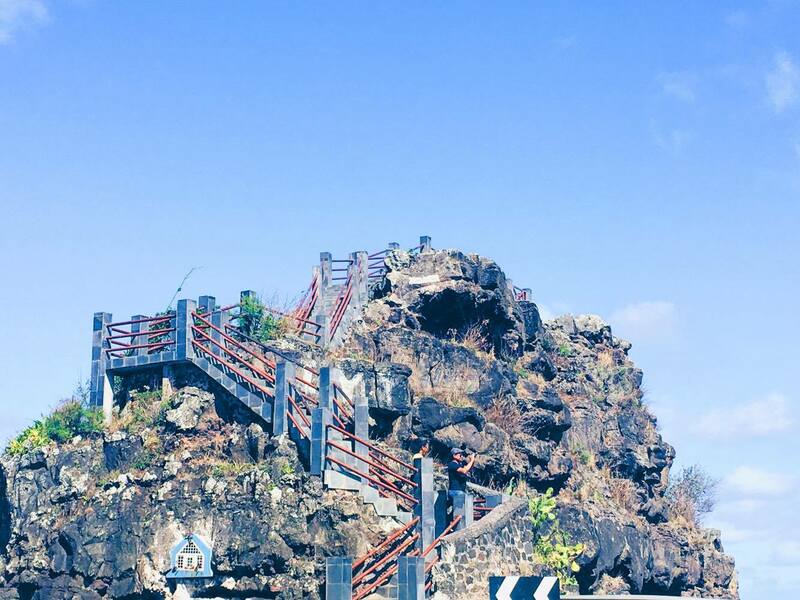 It is just stunning is one of the lesser known historical sights in Mauritius. It is called Cap Malheureux. I just love, again, how picturesque this is. It's a very popular attraction amongst tourists because of it's beauty and it's also quite a popular site for film making as well. I'm definitely going to be keeping my eye out. 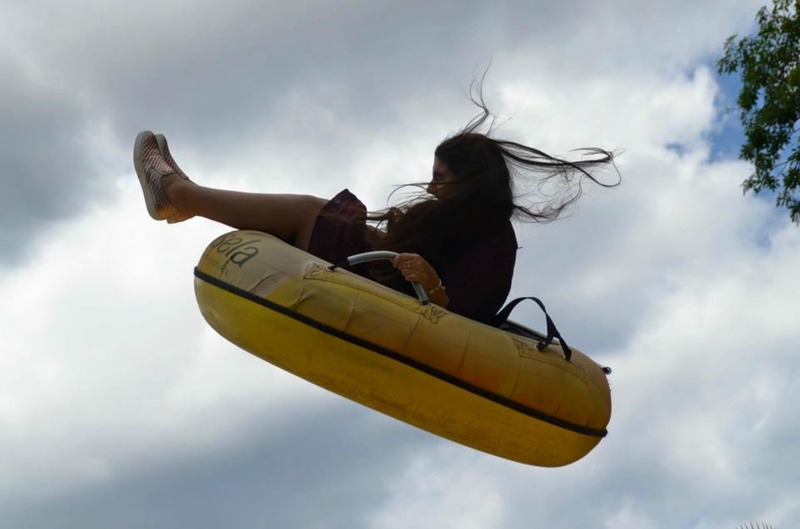 One of my favorite places to visit was Casela World of Adventures which is a massive adventure park. This place is amazing. Whether you want to see animals, go on a safari, or even do Mud Karting this place has it all. It's an amazing place to visit. This was one of the most exciting experiences I did when I was in Mauritius. It was such good fun. If you want to know what I'm doing then head on over HERE where you can see more photos. It was incredibly thrilling and I seriously want to do it again. Amazing right? If you're interested in finding out more about this visit to this hotel and what I got up to then head on over HERE to have a read. If you're looking at Mauritius as a holiday destination I'd highly recommend the Sofitel Imperial Resort and Spa. 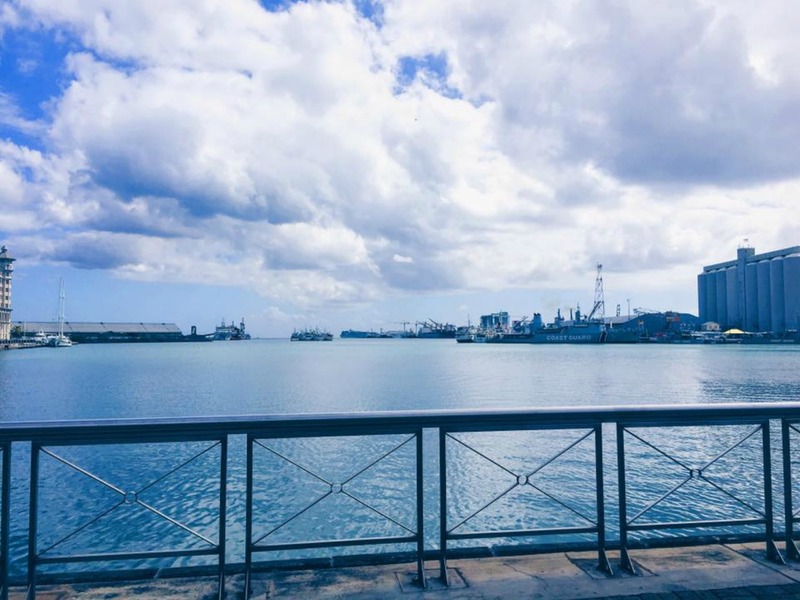 The capital of Mauritius is Port Louis which is in the North of Mauritius and it's stunning. It's definitely a lot more modern with more buildings and shops than other places in Mauritius. It's just absolutely stunning however can get a bit congested with lots of beeping noises but it's an amazing place to visit with a lot of shopping and amazing places to eat as well. An extremely popular dish in Mauritius is a yellow pancake or flat bread which is called Dal Puri. 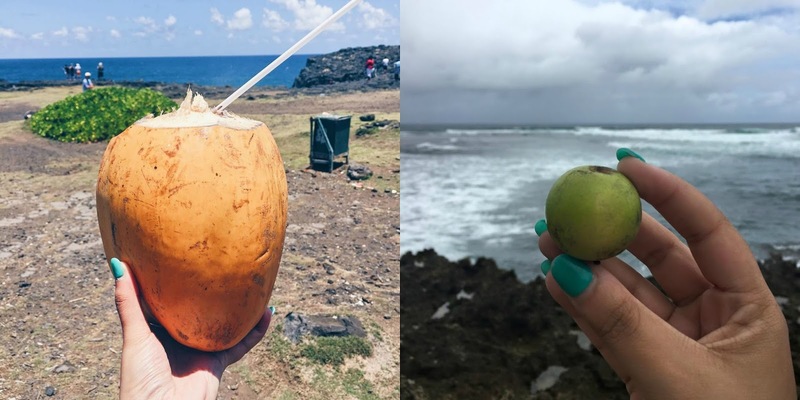 It's definitely something that any tourist must try when they are in Mauritius. You can get it plain or you can opt for them to fill it with some kind of chilli sauce as well. It's just so yummy and delicious. I mean, how many capital cities can you go to and see beautiful palm trees along the sidewalk? Not an awful lot right? Being a tropical country, palm trees are everywhere and they are all full of coconuts as well. 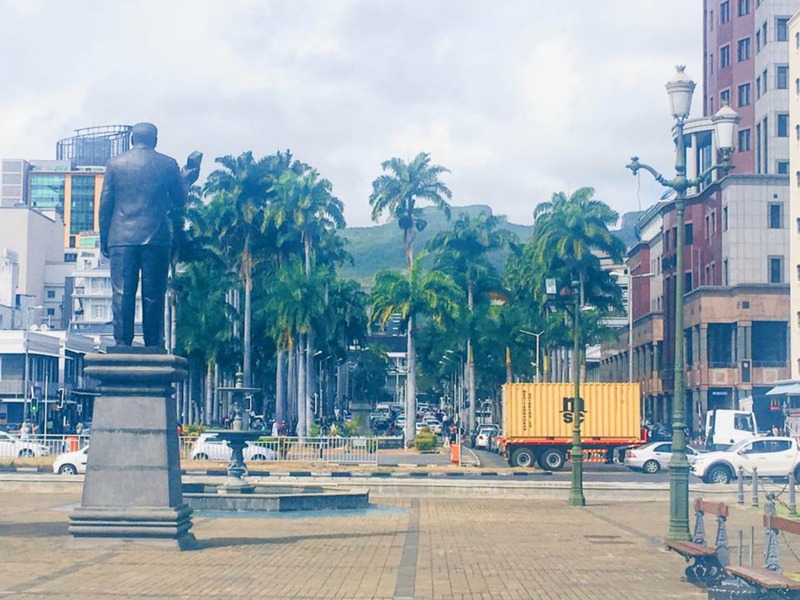 This main place of Port Louis is called La Caudan. How amazing is this view?! This is the La Caudan Waterfront which is amazing to walk down as it's very cool and breezy and there are plenty of opportunities to take photos. It's such a nice little place that has seats around it where you can sit and have something to eat and then look out at the different boats etc. It's just stunning. How peaceful does this look?! This was located near the location of the wedding in a place called Mahebourg. 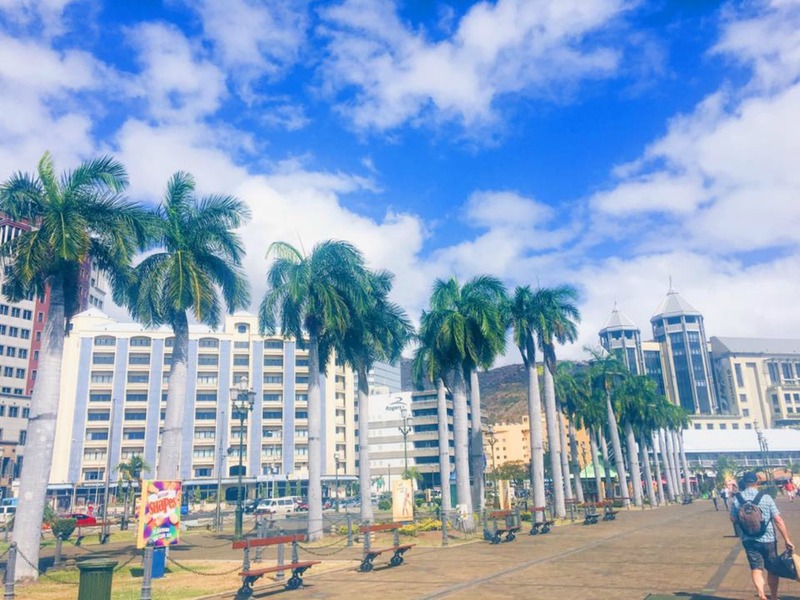 This wasn't part of Mauritius I had previously visited and I absolutely love it. It took me ages to get this photo as there was so many people walking up and down it but I love it as it looks so calming and peaceful if that makes any sense. This is a gorgeous little island called Llot Sancho It's just an island however you need to cross over the water in order to get to it. It can be very slippery and yes I definitely fell a few times. Not surprising considering how clumsy I am but it's a lovely island. It's full of trees that contain 'pomme zacko' which translates into monkey apples which I find hilarious. Once you pass through all the trees there's rocks on other other side that you can walk on and basically it's like you're walking into the middle of the sea. It's quite an enjoyable experience. The above collage show's me drinking fresh coconut water which is an absolute must in Mauritius. It is just super refreshing and one you have had the coconut they break it up and you can then eat the coconut as well. I mean...there really is nothing better. That small green fruit on the right hand side is the apple monkey which also tastes delicious however you have to be careful when you pick them to make sure they are fresh and not rotten. This is another part of Gris Gris which I spoke about above. It's quite a dangerous part of Mauritius which is quite high up with lots of wild water and rocks below but it is so beautiful. You have to be careful though cos on a rough day it does get very wet and you can't really go too close. 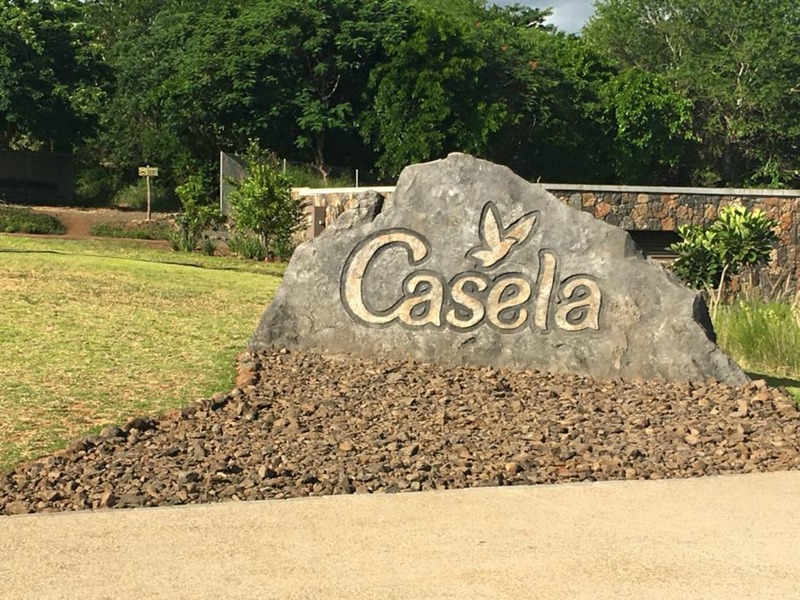 This is located in the south of Mauritius. How beautiful are these flowers? 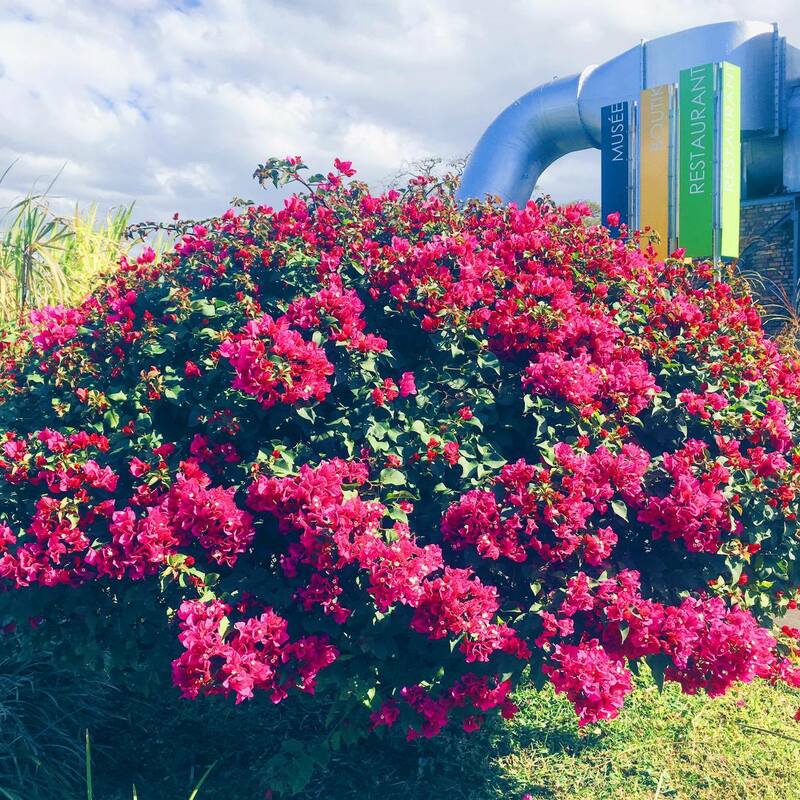 I absolutely love bougainvillea's as they are just so stunning and they also happen to be my Dad's favorite flowers as well. 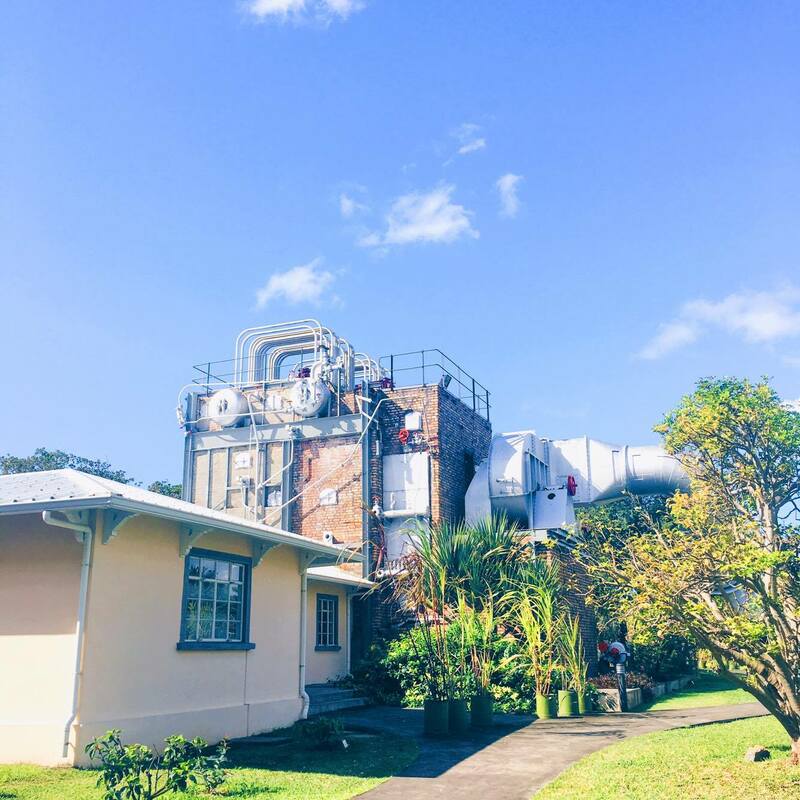 One of my favourite places to visit in Mauritius this time round in June was a place called Adventure De Sucre which is an old sugar can factory. Sugar Cane is extremely popular in Mauritius. It's something that's used in everything. Rum, Tea, Cakes. Sweets, you name is it's included in a lot of things in Mauritius. My Aunt and Uncle were kind enough to take us there to spend the day and it's just so interesting. My favorite part after was of course being able to try different types of sugar. Yum! Opposite the factory there was a little restaurant which had cakes and other dishes that use primarily sugar cane in them. We never went there but I snapped this photo anyway as I just thought it was super pretty. I love how bright it is and the mountain peeking out in the background as well. Looking onto the other side of Gris Gris. As you can see it was a very wild day out on sea. You can also see that it can be quite dangerous because there are no barriers or anything so if you're travelling there with young children you will have to be extremely careful. One of my favorite spots in Mauritius is the beautiful Maconde again located in the South of Mauritius not too far from Gris Gris. This is a beautiful view point and as you can see the stairs are quite steep and we went up there on one of the windiest days which was quite scary but it's so lovely. I mean just look at the following photos. How blue is the water?! It doesn't look it but it's quite high up and it was extremely windy. I remember when I was taking the photos I was so scared my phone was going to blow away, it was that windy. But it's such a lovely experience and as you can see it's so beautiful. I mean....why would anyone want to leave Mauritius when you have a view like this practically at your doorstep?! It's just so beautiful. So like I said at the beginning of the post I'm not going to speak about the wedding but I did take an outfit shot every day so I've put together this little collage to show you what I wore. 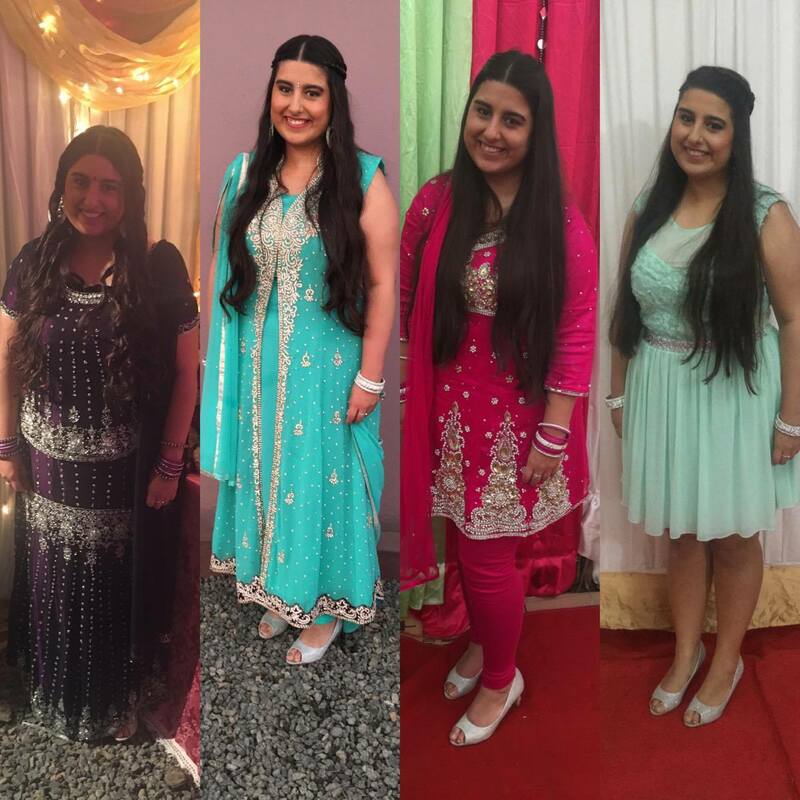 These are the indian outfits I had to wear as the wedding was a 4 days long for different ceremonies. From left to right we have the Saffron night, the actual wedding day, the reception at the bride's house and then the final reception event in the evening where as you can see I wore a simple dress in order to feel more comfortable. On the first night of the wedding we just wore normal jeans and t-shirt as it wasn't a huge event. 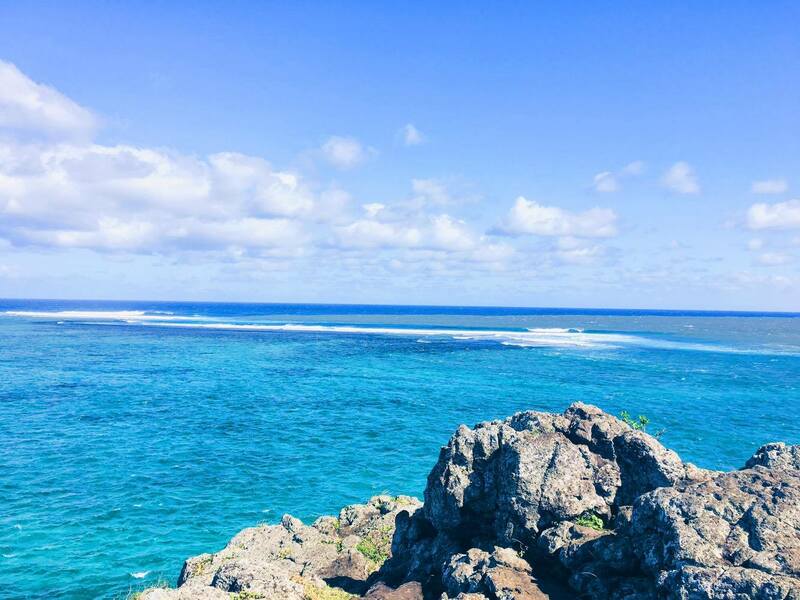 So there we have it, just a little round up of my favorite places to visit in Mauritius. These are some of the most popular tourist attractions as well. I will be doing another post sometime in the future of popular restaurants and places to eat in Mauritius so make sure to keep an eye out for that post as well. 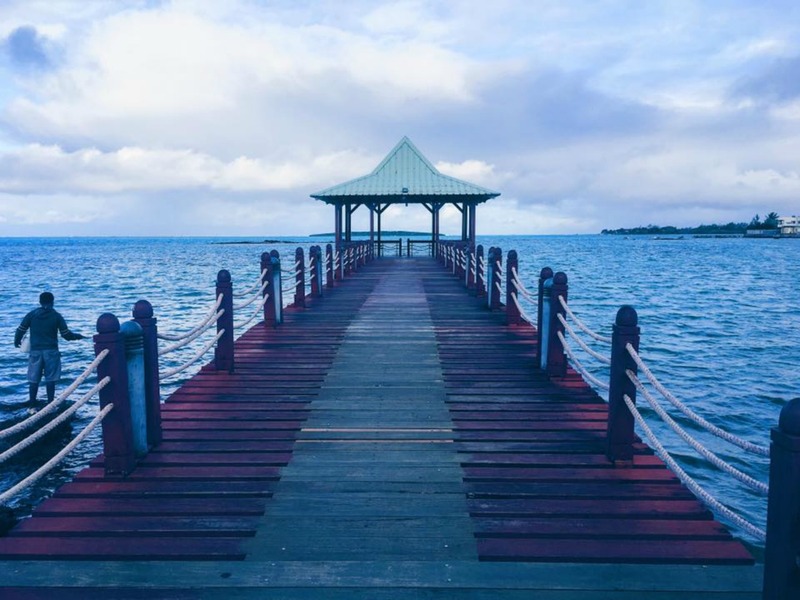 If you're thinking of visiting Mauritius I hope this post persuaded you! 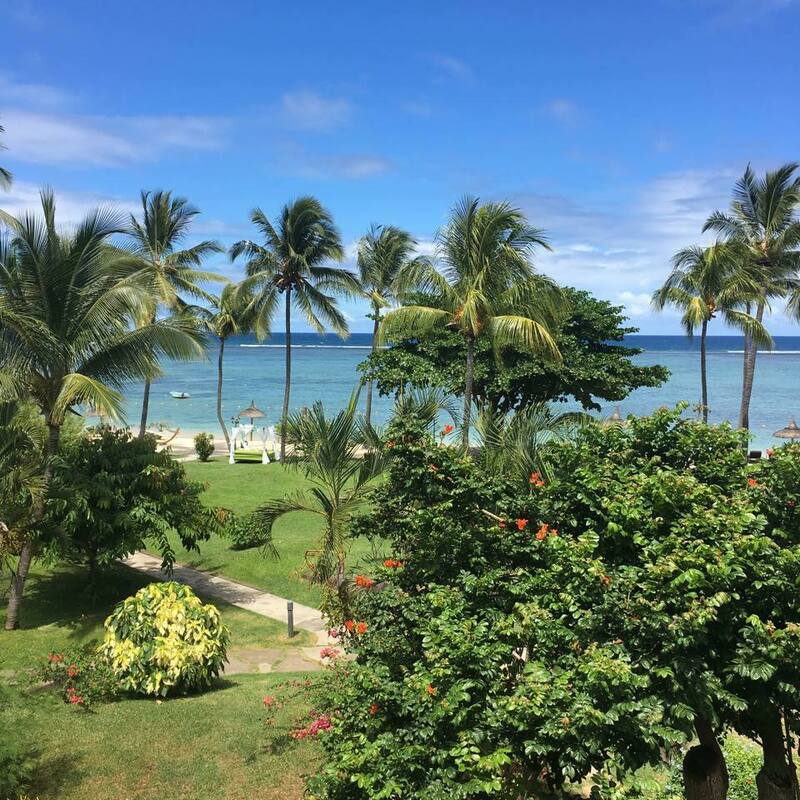 I went twice this year, once in January where the weather was incredible and so hot and again in June where it's actually the Mauritian Winter but their winter is the equivalent to our Summer so it's still beautiful there. What places in this post do you like the look of the most? 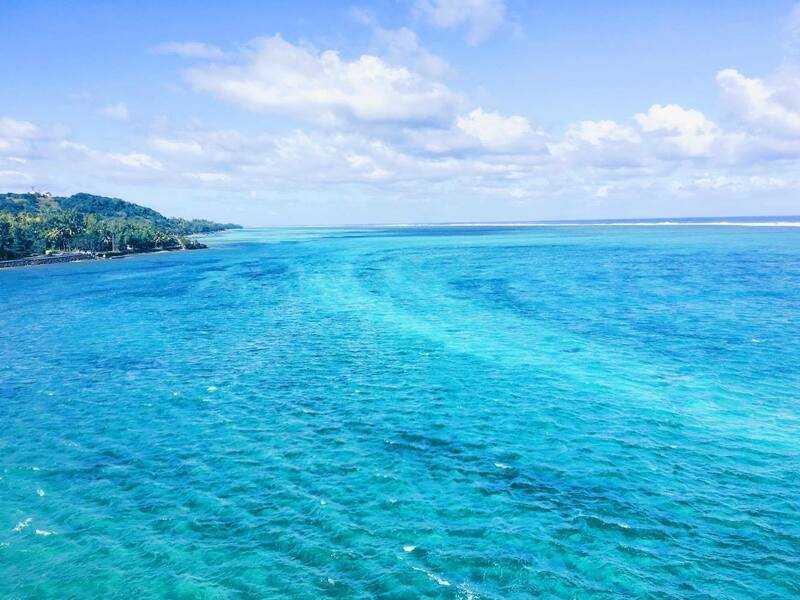 Have you ever been to Mauritius? If so where did you stay and what were your favorite places?